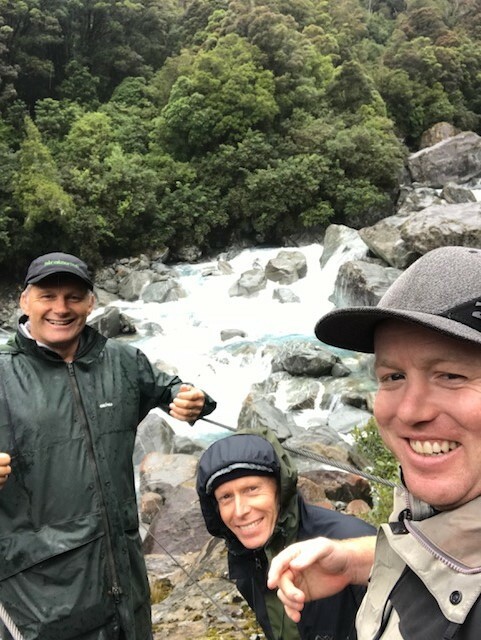 Director Guy Lethbridge and Draughting Technician Andrew Murphy had an unusual few days “on site” flying to the Scone River Bridge inland from Kaikoura to undertake a site assessment. A couple of months later, Andrew was back again installing the first prototype of the predator-proof gate to prevent possums, rats and stoats crossing the Bridge. The project is featured in the Zero Invasive Predators (ZIP) Annual Report. Predator gate to prevent possums, rats and stoats crossing Scone River Bridge. One of the more exciting site visits!